There’s absolutely no doubt about it: Lisbon is hot right now. A combination of great food, beautiful buildings, quirky bars and – quite importantly – not being bank-breaking; Lisbon’s stock is booming right now. This is a guide to taking it easy. How to see sights, eat food and enjoy this beautiful city over a long weekend – a relaxed 72 hours in Lisbon. Lisbon is a city to enjoy slowly. 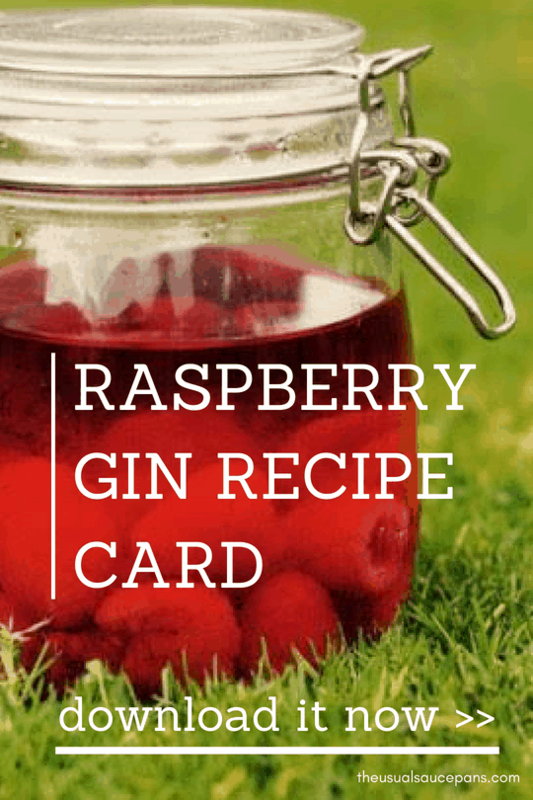 And that’s what this guide is for. 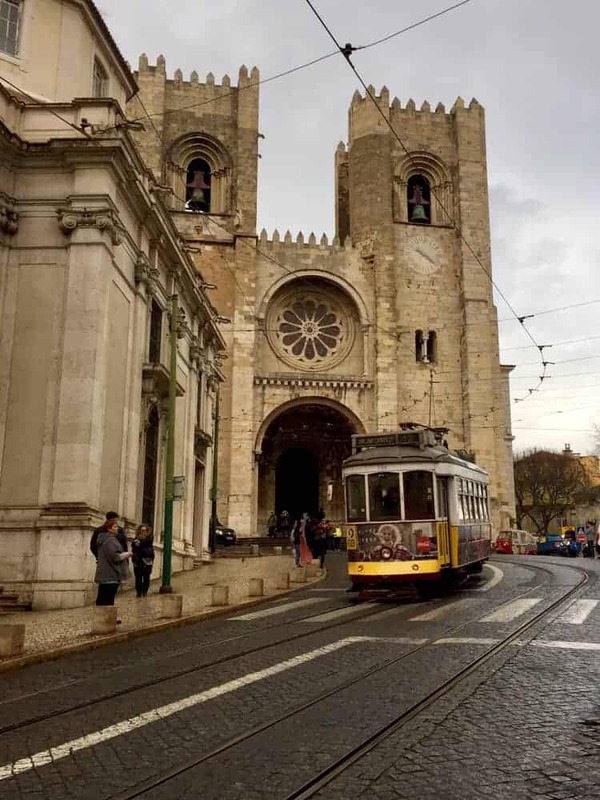 It’s a city to soak up the atmosphere whilst eating pastel de nata or enjoying a glass of wine whilst listening to fado (traditional music from the region). Take the time to walk the beautiful streets, look at the colours of traditionally tiled walls, soak up the sun and read a book in the park or by the river. Take time to slow down. Find good places to eat. Stop for another coffee. You’re on holiday, after all. Bring shoes you can walk in: cobbled and tiled pavements are everywhere. As are the hills. Don’t be that tourist struggling in flip-flops. 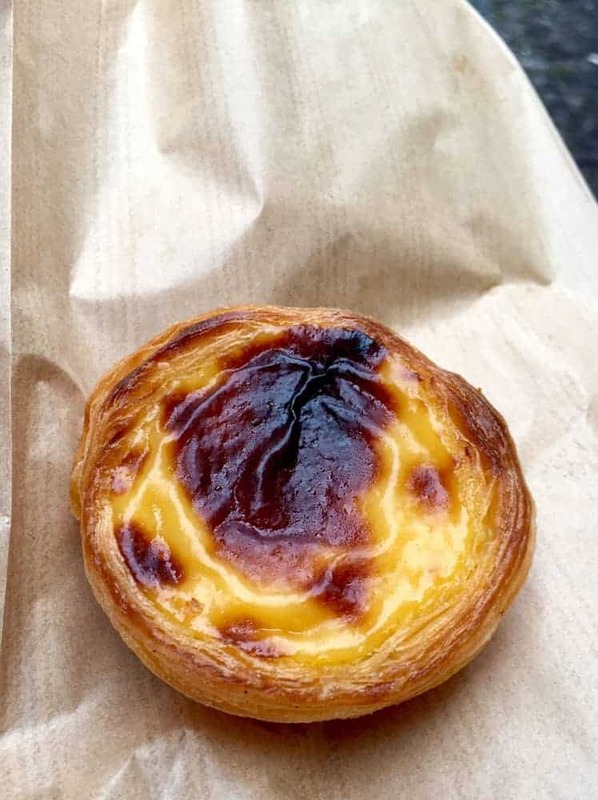 Eat pastel de nata (those gorgeous and irresistible custard tarts; last seen on this blog in Macau), but not too many. There’s such a thing as too much of a good thing, especially when egg-laden custard is involved. Always coffee; usually an espresso. Milk-based coffees are breakfast-only and you should sit down and enjoy your coffee – it only takes a few minutes, so chill and take a moment. Spend the first day down in historic Belém. 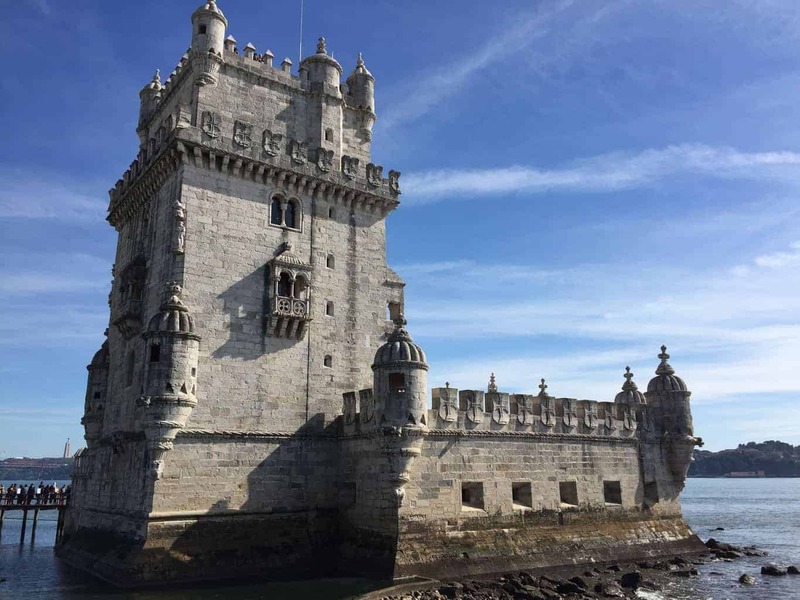 Down on the banks of the Tagus river, Belém was originally a major port and retains a lot of maritime connections and old-world charm. The old port that is home to the ‘original’ pastel de nata (those Portuguese custard tarts that are just irresistible). 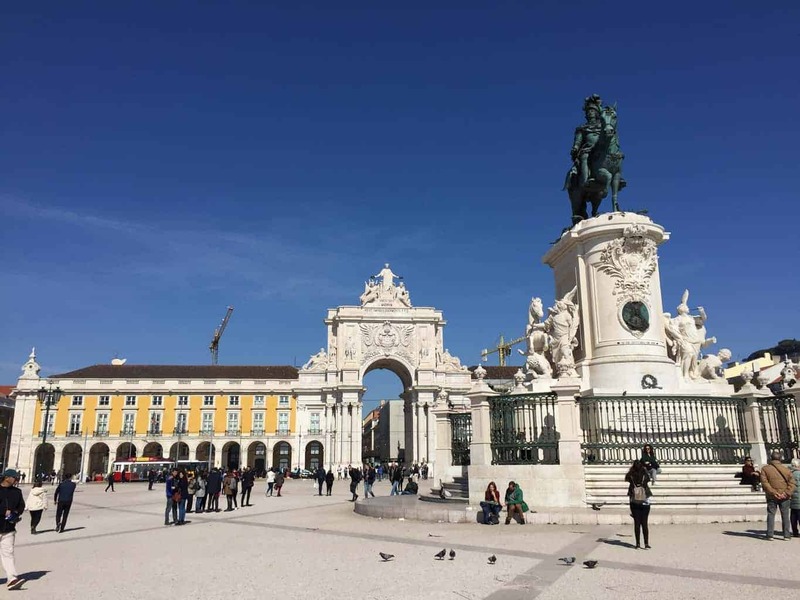 It’s where some of Lisbon’s most recognisable sights are: the Torré de Belém (the castle, you know the one; photo below if you don’t), the monument to Portugal’s navigators and explorers, the Jerónimos monastery and botanical gardens. Start quite early, especially in the narrow cobbled area around Pasteis de Belém (the ‘original’ nata shop) as it can get quite busy with tourists. But it’s easy to enjoy early as you can have breakfast at one of the cafes. Originally, the nata were sold by the monks of the Mosteiro dos Jerónimos (the Jerónimos monastery, see next paragraph) to raise money. The recipe was bought in the 1830s and Pasteis de Belém has been selling them ever since. They are made with beautifully flakey pastry and filled with a baked custard that’s creamy in the middle. Even if you don’t have the slightest scrap of interest, it’s worth going to the Jerónimos monastery just to look at it. The 16th century design is stunning. Both a UNESCO world heritage site and a national monument, it’s even more beautiful on the inside. After popping back for another nata, explore the riverfront. 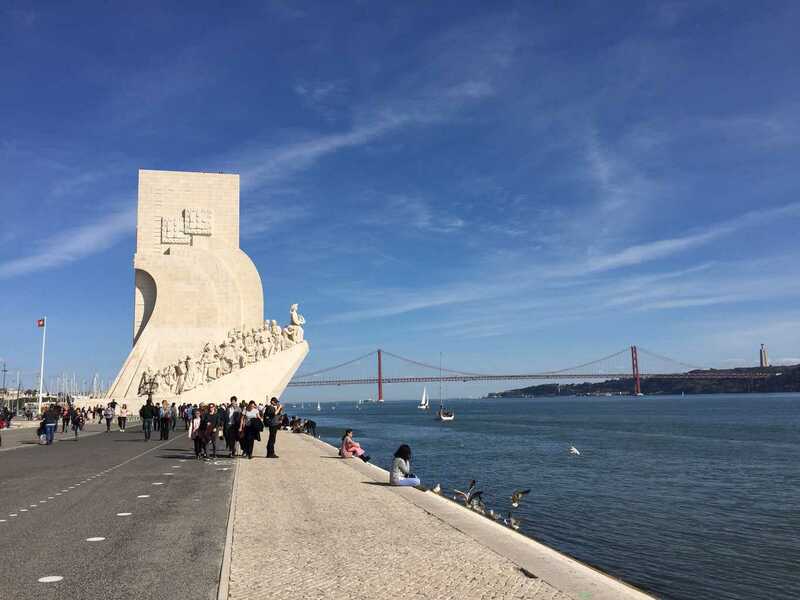 Here you’ll find two of Lisbon’s most famous sights: the Torré de Belém (the tower of Belém, if your Portuguese is a little rusty) and the Padrão dos Descobrimentos (Monument of the Discoveries). Both distinctly different from each other – the former is a gothic 16th-century design; the latter towering, smooth and angular stone – but both reminders of Portugal’s involvement in the age of discoveries. 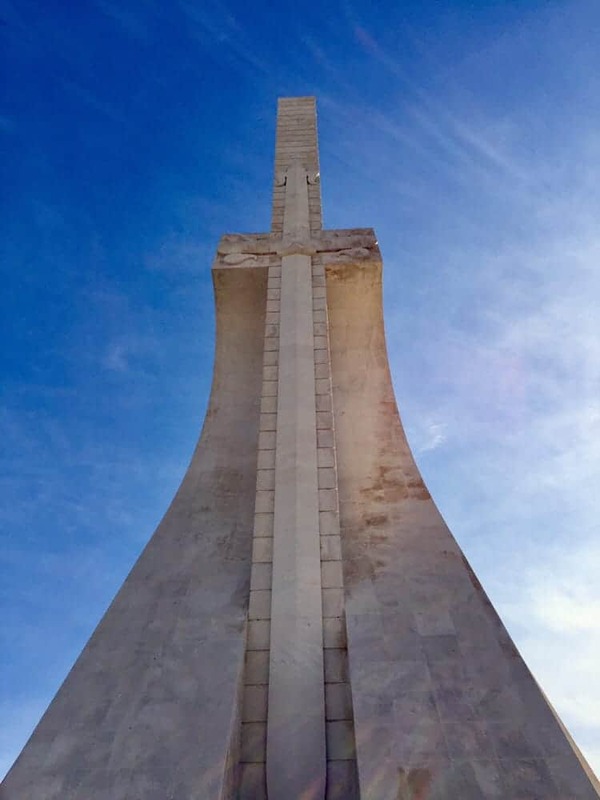 The Tower was built as a fort to protect the city from foreign invaders (it had a counterpart on the opposite bank of the Tagus which is lost to time), the monument celebrates Portugal’s explorers. This part of Lisbon is also home to the Jardim Botânico Tropical, Belém Cultural Centre and the Museum of Popular Art – each of these is worth spending the afternoon exploring, if they interest you. The botanical gardens are also a great place to relax on a sunny day. Pastel de nata are an obvious must when in Belém. The other treat of this area is seafood. Virtually every restaurant along the waterfront serves combinations of prawns, crab and clams with views out over the river. It’s a great place to relax over dinner with a glass or two of wine. If Day 1 is all about Portugal’s history, then Day 2 is about food and Lisbon. The districts of Bairro Alto and Estrela are picture postcards of Lisbon. They are the tiny narrow streets with cobbles and mosaic tiled pavements. Barrio Alto also changes dramatically between day and night. During daylight hours there are hundreds of little shops, offering everything from designer clothes to traditional pottery, and a plethora of galleries. But night it is wine bars, restaurants and cocktails. It’s also alongside Bica, home to that famous yellow funicular railway. 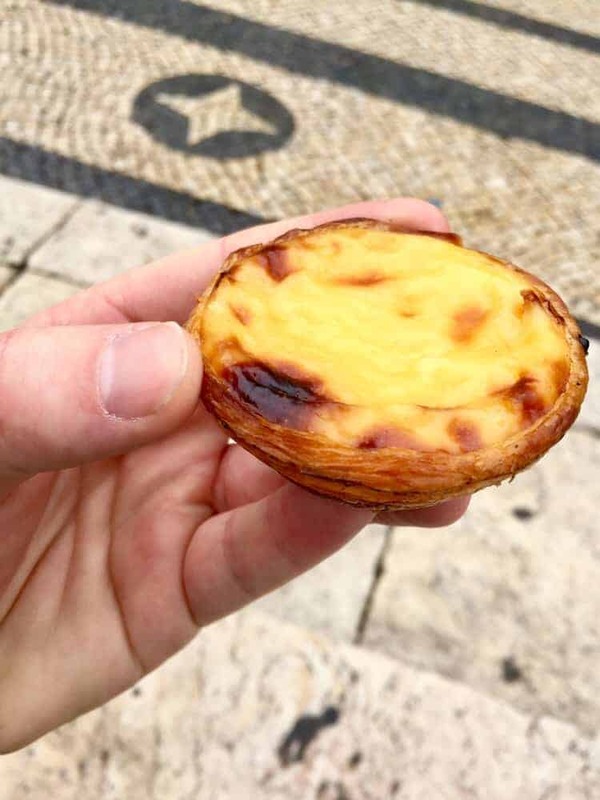 Barrio Alto is also home to Manteigaria – they have the best pastel de nata in the world. 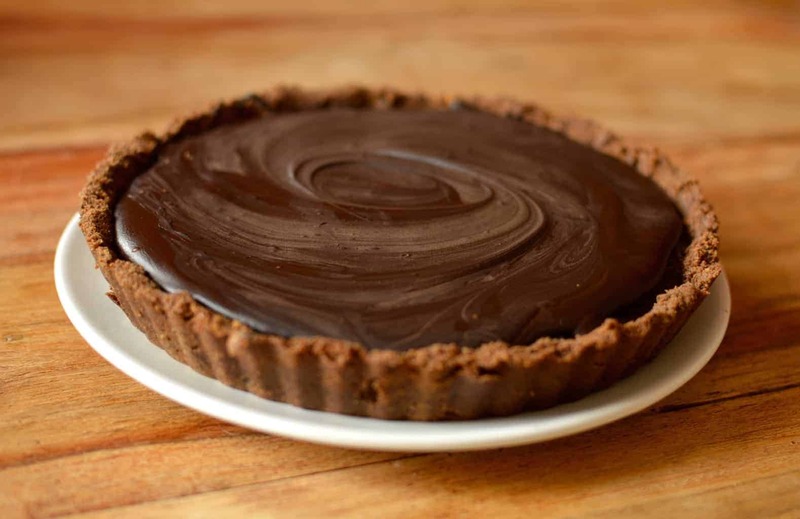 It’s a tiny little shop on Rua do Loreto 2, but what it lacks in size, is more than overcome by the joy that awaits when you bite into one of their nata. 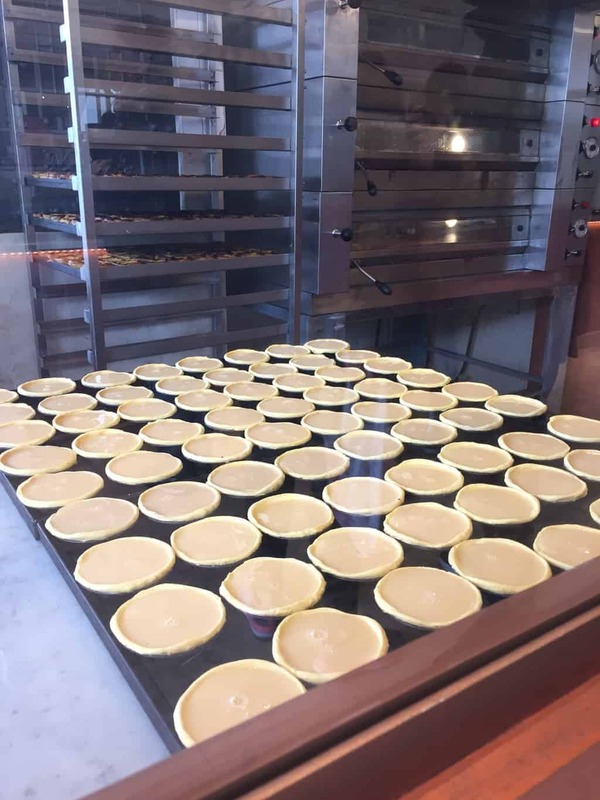 You might have to queue for a little while, but it’s worth it to enjoy a nata and an espresso whilst watching the bakers fill and bake giant trays of nata. The districts are worth just wandering around. The buildings vary from street to street and it’s easy to get a little lost in amongst all the winding streets and alleyways. For a lazy time in the afternoon, head for the Jardim da Estrela and rest those weary feet with a drink and reading a book in the shade of a tree. 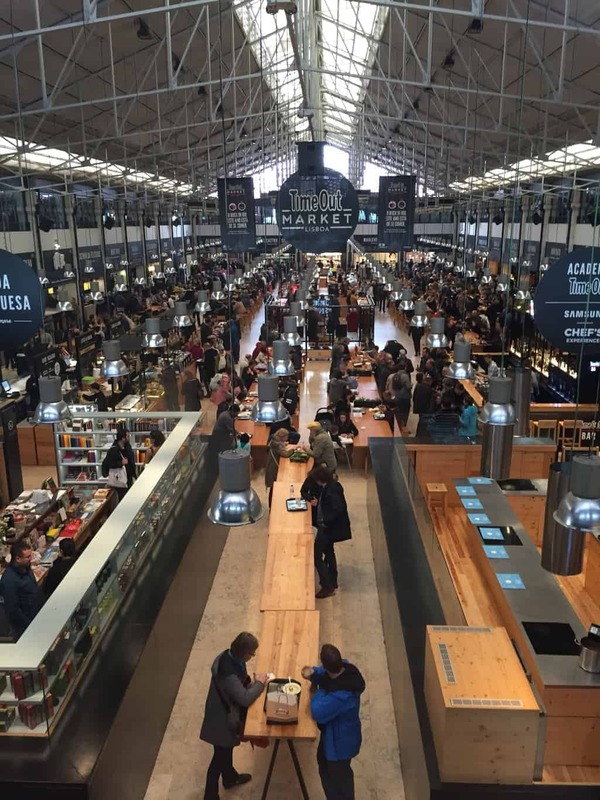 Based in the historic river-side Mercado de Ribeira, the Time Out Market is every food lovers dream. This is a foodcourt like you’ve never seen before. 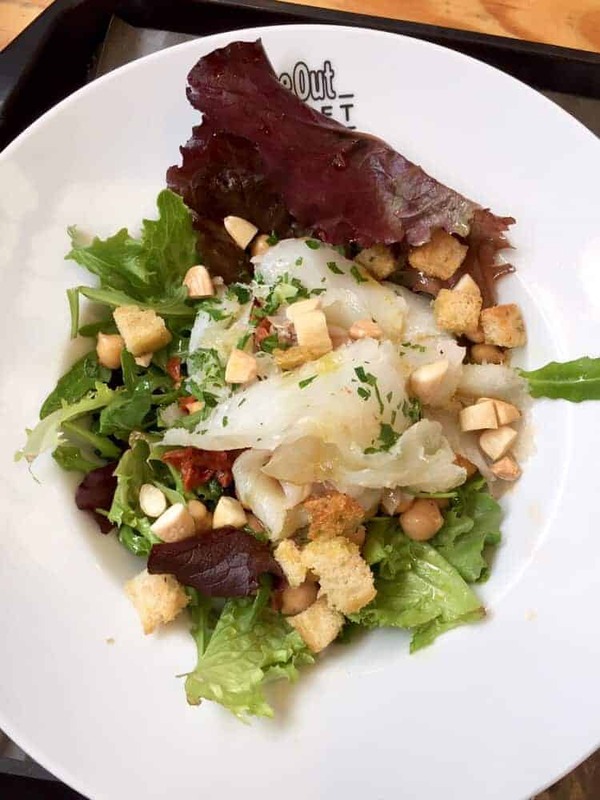 The outlets are pop up versions of Lisbon’s best restaurants and top chefs, all serving budget-friendly versions of the food they serve in their Michelin star eateries. This place is rarely quiet. A combination of great food, bars and long communal tables down the middle make this a contemporary take on what it means to enjoy the best food a city has to offer. Most of the outlets offer seafood-based dishes, but there are many options to suit virtually any taste, with the idea being that everyone can find something delicious they want to eat and then come together in the central tables to enjoy it together. The centre – or Baixa – is where you’ll find much grander streets, laid out in a grid, with grand, ornate buildings. It houses the old government buildings around the grand Praça do Comércio. It’s also the flattest part of the city, sitting in the bottom of the valley between two hills and stretching down to the banks of the Tagus. It’s the most touristy part of Lisbon and where you’ll find the fanciest restaurants and those with the tourist menus in five languages. 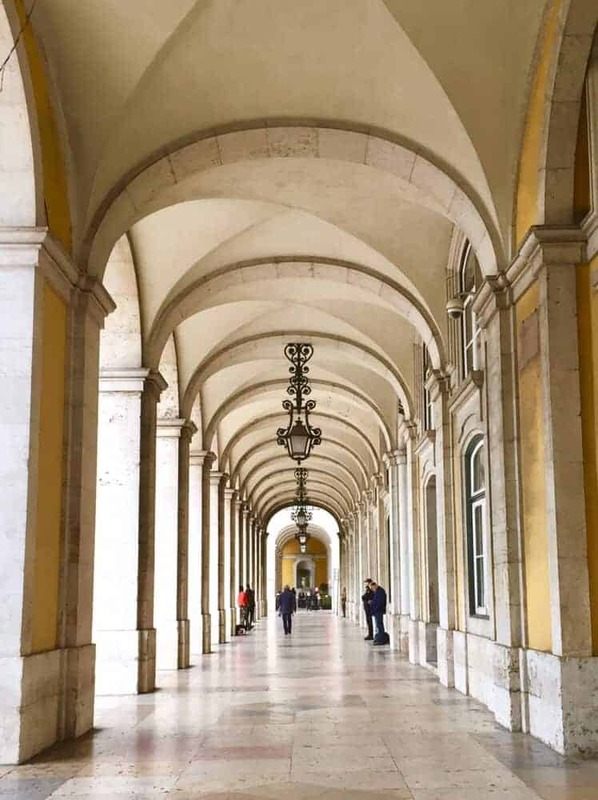 Spend a morning wandering the streets between the Avenue da Liberdade (said to be modelled on the Champs Elysee in Paris) and the Parça do Comércio. Eat breakfast in the cafes on the Av. da Liberdade, wander through the squares, see the buildings, take photos, buy postcards and have another coffee. Then head to Alfama. Alfama is the oldest part of Lisbon. It sits on the hill, topped by the Castelo de Sao Jorge , and is beautiful in the sunshine. It’s a warren of tight streets, cobbles, churches and tram tracks. Take it slowly, wander. Soak in the little streets, Fado houses and museums. Let yourself get a little lost along the way (ultimately if you go up or down you’ll reach somewhere you know, and you can always stop for a coffee and a nata). The Castelo de Sao Jorge is also well worth a visit for the views alone. It’s mainly a ruin, with a small exhibition space detailing the history of the castle and its last restoration (if restoration is a word you can use when returning something to ruins). On a good day you can also see for miles. The views out over Lisbon are really the best in the city, and the chance to soak them up (perhaps whilst enjoying a glass of Portuguese wine) is something not to be missed, especially as the sun is starting to sin and you enter the golden hour. End your day by exploring the bars and restaurants around the area. Each has its own unique style, and many are tiny. 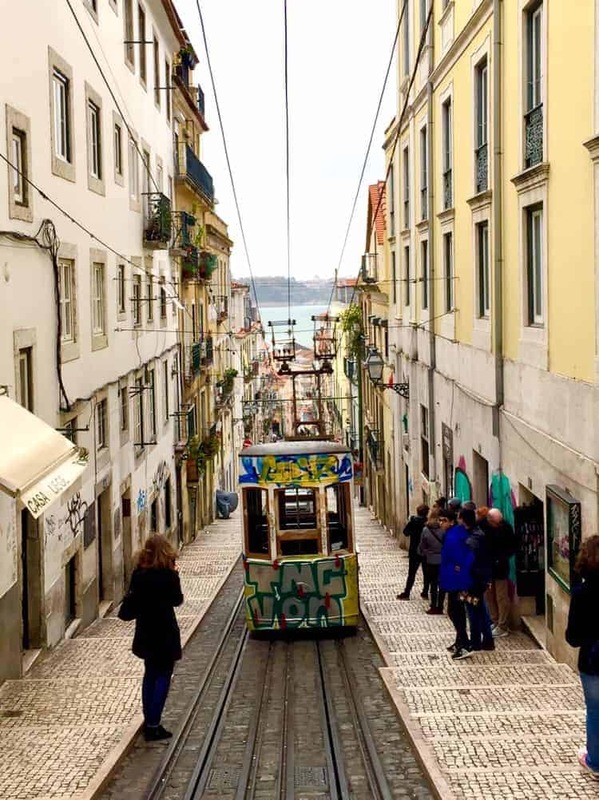 All in all, you’re going to spend most of your time in Lisbon eating, drinking and walking up and down little streets that don’t feel like they belong in a 21st century city. Lisbon is a city of history and of culture, but don’t get drawn in to thinking it’s old and quaint. Contemporary culture in Lisbon is never far away. Just because the buildings are old, don’t assume that everything is. There are amazing little galleries, coffee shops, bars and restaurants everywhere you look. It’s such an easy city to fallen in love with, or maybe that’s just the nata.